Leave it to Kanger Tech to create another revolutionary design. We introduce the DOTA; a tank which uses both the stylings of Drippers and Tanks to create a RDTA. The DOTA is a 25mm Rebuildable tank that gives a remarkable tasty experience due to using Japanese organic cotton in its build. It can hold up to 4mls of liquid and includes a velocity style deck giving the user room for any style of coil they may build. 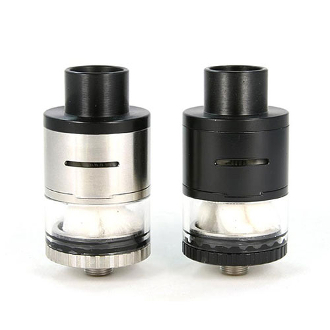 The Tank is refillable through a side opening located on its body, along with an adjustable airflow control panel infused into the top cap.